A man accused of operating a fraudulent charity for injured Army heroes has appeared at court. Marvin Trussell is alleged to have run the charity “Army of Heroes” which employed people to sell camouflage wristbands for between £2 to £3, in areas including the Fylde Coast, Manchester and Liverpool. The sellers were said to have worn Army green hoodies with the “Army of Heroes” logo, a silhouette of a soldier and a Union Jack flag on and carried red white and blue collection tins with the words “support our wounded heroes” on. Trussell, 40, of Glen Eldon Road, St Annes, pleaded not guilty to fraudulently raising money for a charity called “Army of Heroes” by falsely representing it would assist injured Army personnel. 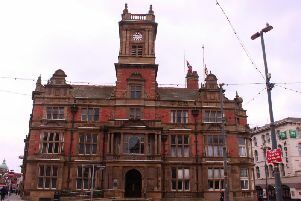 Trussell’s case was adjourned by Blackpool magistrates for him to appear at Preston Crown Court on July 22.